Adding a teen driver to your auto insurance policy will make your premium payments go up, but there are things that you and your teen can do to keep costs to a minimum. Many of these are quite easy to do, and your time and effort will pay off with a more affordable monthly bill. Many of the top insurance companies offer discounts to those customers that purchase more than one type of coverage. You may find that it is more affordable to buy auto insurance for your teen through the same company that provides you with your life, home, or other policies. You also want to compare insurance quotes from several carriers to see which are the cheapest. Many auto insurance companies offer discounts to adults that take driver safety courses or defensive driving classes. They will often do the same for teen drivers that complete similar safety courses. These classes are offered online, in person, and via DVD. You will also want to encourage your teen to keep their grades up. Almost every auto insurer has a “good student” discount available for young drivers. It is usually cheaper to get auto insurance for older vehicles or late model cars than it is for new ones. Your teen will merely have to overcome wanting something new and trendy. Focus on putting your teen in a safe vehicle that has an excellent crash-test rating along with the latest safety equipment to ensure lower rates. 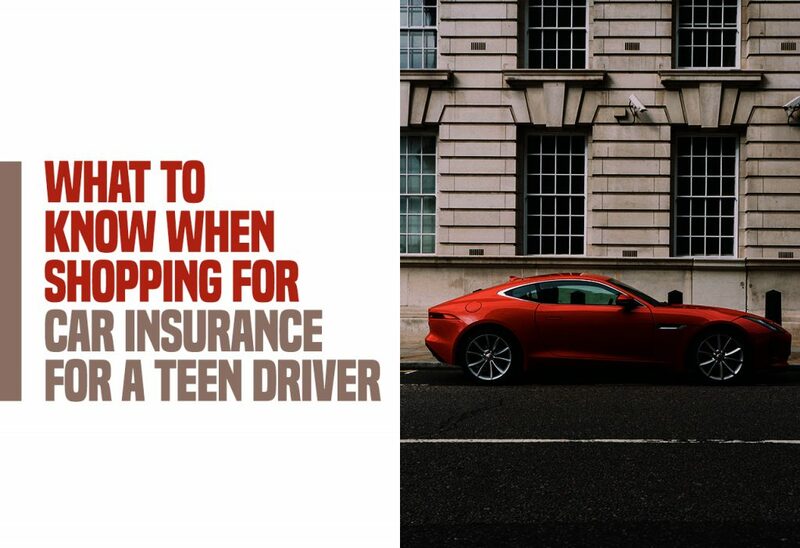 Add your young driver to your existing policy. Putting them on your adult policy is often much more affordable than purchasing their auto insurance separately. Check with your carrier to see which of your vehicles is the most affordable to insure. You should list them as the primary driver of this car. You can manipulate your deductible to lower your overall premium price. For example, a policy with a $1,000 deductible is more affordable with a teen driver than one that is $500, $250, or less. A higher deductible shouldn’t be too much of an issue, especially if the car they are driving is older. Many states only require teens to have liability coverage. You’ll save money by skipping comprehensive and collision. Ask your provider about any college-related discounts they may offer. If your child attends a college that is over 100 miles from home and does not have a car there, you may be entitled to a significant discount. You can also stress to your teen to drive safely. Avoiding traffic citations will keep your rates low.